The last few years have been filled with the most number of technology disruptions that carry with them far reaching consequences. It wouldn’t be an overstatement to say that disruptive technologies such as IoT, Analytics and AI have fundamentally changed the way we live, work, communicate or make critical decisions. If we were to simply look at our own day-to-day lives, less than a decade ago it wasn’t possible to simply push a button on our cellphones and book a cab, order scrumptious food, access high quality streaming content or for that matter, make a video call over WhatsApp. However, we consider these as bare necessities today which has been made possible due to the emergence of high speed networks, the ubiquity of sophisticated mobile devices and the availability of a thriving applications ecosystem to solve real world needs. India has readily embraced this evolution to become the second largest country in terms of mobile penetration and perhaps more importantly, most of our users are now moving over to smartphones. According to a recent survey by e-Marketer, almost 337 million Indians will have used a smartphone in 2018. It is also estimated that smartphone users in India will grow at 16% which is higher than any other country in the world. The use-cases are aplenty and a thriving startup ecosystem is doubling down to provide consumers with a plethora of choices. For instance, in the OTT entertainment space alone, the last few years have seen the emergence of several international and national players such as Netflix, Amazon Prime, Hotstar, Voot, MX Player and Zee 5 to name just a few. It is little wonder then that as per Nokia’s MBiT report 2018, Indian subscribers consumed 7.4 GB of data per user per month on their mobile devices over mobile networks alone, placing India ahead of developed markets like the UK, South Korea and France. While the potential is both abundant and evident, Indian telecom will need to be ahead of the curve in effectively integrating disruptive technologies and laying the infrastructure for the adoption of 5G networks. 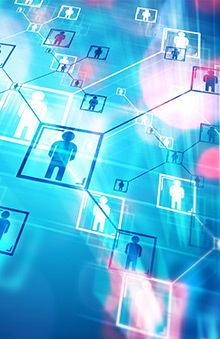 From a technological perspective, it is important to note that Networking itself is undergoing a sea change to deal with the demands of an ecosystem that is increasingly connected and constantly hungry. Unfortunately, traditional networks are coming under fire as ever-increasing instances of network outages and suboptimal performance tend to become commonplace. It is now imperative for networking to take a generational leap forward that is essential to overcoming the limitations of a dated infrastructure that is simply not built to cater to the demands of a disruptive marketspace. The idea of “Software Defined X” has emerged from the shadows to occupy center stage and has attracted significant interest and conjecture while acronyms such as SDN and NFV have popped up all over the networking landscape. In addition, the emergence of IoT and the sheer volume of connected devices has created several interesting use-cases in the smart home market with immediate applicability. However, with the number of connected devices exceeding more than 7 billion in 2018, the challenge is to capture and make sense of the ocean of data residing in these devices. At the same time, the advent of hybrid clouds, multi clouds and app driven business models has made it mandatory for networks to be robust, scalable and secure to meet rapidly changing business expectations. Also, new use cases like autonomous driving, drone driven surveillance, AR and VR technologies demand high performance networks with low latency that are designed for efficient performance and greater user experience. While the general impression may be that almost any data passing through a network can provide analytical insight applicable across a diverse set of use cases, this remains a distant reality. Developing an Analytics solution requires the entire ecosystem including Semi companies, OEMs, ISVs, Enterprises and Operators to collaboratively take definitive steps in the right direction. Lastly, B2B2X is changing the paradigm by enabling Telecom service providers to deliver services to any number of end-users. The opportunity lies in integrating telecom and IT services capabilities with applications used by enterprises to offer services to customers, retailers, partners, suppliers or whoever might make up the “X”. At this juncture, Indian telecom is at the cusp of a transformative phase. The market is ripe with potential and there is a healthy appetite amongst end users, however a lot of the heavy lifting still needs to be done. Despite the sheer volume of cellphone users in India, 4G connectivity speeds continue to lag when compared to the rest of the world. Operating at an average 4G LTE speed of only 6 MBPS, India surprisingly trails its neighbors like Sri Lanka, Pakistan and Mynmar. However, India also boasts of some of the lowest price points for internet connectivity across the world at less than $20 per month. This has been made possible due to intense competition between some of the largest telecom and broadband players in India resulting in steeply subsidized pricing and discounts. As a result, two of the largest telecom operators in India have publicly announced that they wouldn’t be investing in 5G networks although the government is still bullish about a rollout in 2022. As IoT becomes more mainstream by finding traction in the consumer electronics space and Analytics emerges as the bedrock of providing rich and personalized experiences to customers, Indian telecom and broadband companies need to realize the massive advantage they enjoy. By being embedded in more than half a million homes and hands, they are in a position to collect intricate insights to create personalized, timely and context rich offerings. In addition, due to the trust and credibility they have already built up over the years, they can seamlessly rollout a bouquet of value added services that cater to the emerging smart homes market in India. We are bang in the middle of a digital transformation that is radically going to change the way many businesses function. However, few industries can have as profound an impact as Telecom in shaping this journey by effectively integrating disruptive technologies such as IoT, AI and Analytics while building scalable networks that will lay the groundwork for a connected, secure and always-on future. The stakes have never been higher and the battle of attrition is fully underway. It’s now time to see which Indian Telcos effectively leverage disruptive technologies and lead the way as India and the rest of the world ready itself to enter the 5th generation of connected networks. Arsalaan Kashif is the Global Marketing Head for Product Engineering Services at Happiest Minds and has a keen interest in all emerging areas of technology and innovation. Having worked with Unisys, Oracle and HCL Technologies for over a decade he has experience with taking to market products and services across areas as diverse as Application Services, Cloud Computing, DevOps and Big Data Analytics to name a few. Outside of work, Arsalaan enjoys watching noir films and reading John Irving classics. 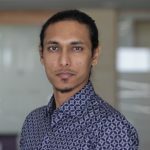 Arsalaan Kashif Arsalaan Kashif is the Global Marketing Head for Product Engineering Services at Happiest Minds and has a keen interest in all emerging areas of technology and innovation. Having worked with Unisys, Oracle and HCL Technologies for over a decade he has experience with taking to market products and services across areas as diverse as Application Services, Cloud Computing, DevOps and Big Data Analytics to name a few. Outside of work, Arsalaan enjoys watching noir films and reading John Irving classics.